When you think of your dorm bedding, you immediately think of your Twin XL Comforter and Extra Long Twin Sheets. However, you can't forget about or ignore your dorm pillow. Your college pillow is where you place your head every night, so you need to make sure it is incredibly comfortable and that you are taking care of it like you do the rest of your college dorm bedding. One of the first things you need to do to protect your dorm pillow investment is add our Cotton Terry Pillow Cover - Standard Pillow Cover to your dorm essentials. 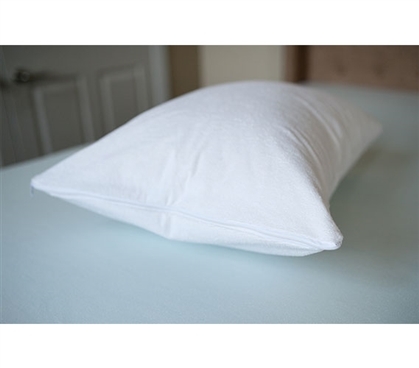 Our Cotton Terry Pillow Cover - Standard Pillow Cover is made of soft cotton with bound seams for extra durability. This dorm essentials item will add a protective barrier to your dorm pillow in addition to your college pillowcases to increase the lifespan of your dorm pillow. Starting out college with a new down pillow? You especially want to make sure you take care of that investment! 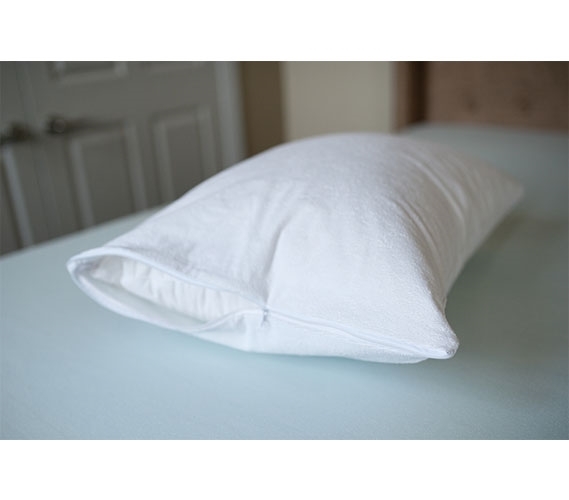 Make sure your down pillow lasts throughout your college years by adding cheap dorm supplies like our Cotton Terry Pillow Cover - Standard Pillow Cover.